I want to always offer value for money when pricing myself and as my type of photography is focused on documenting and storytelling, I feel I should offer an album with all my packages. Trying to find a balance between cost and quality is always a difficult thing to balance. My album supplier Graphicstudios has recently launched a new album called a baby book, primarily aimed at portrait photographers. 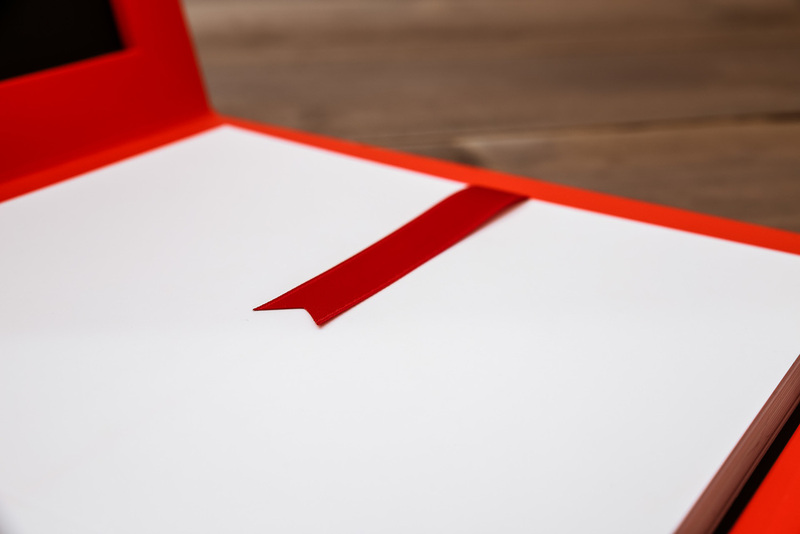 This album has all the plus sides of Graphistudio which are fantastic print quality, a huge range of customisable options at a great quality and price point. The Baby book allows me to offer every bride and groom a Graphistudio album, these albums can be customised in a large variety of ways from the colour of Cover the of Box too the inside and the Cover of the Album, You can add text or images to any of these and you have the choice of ribbon colour. By having a Graphistudio album including within my package allows bride and grooms to seamlessly upgrade their album in size or number of pages.